Who wrote this mysterious guide to esoteric psychology and worldly success? History has kept us guessing. Discover for yourself an occult classic that has intrigued and enlightened seekers for generations. Here are the teachings of the legendary sage Hermes Trismegistus, reinterpreted for the modern person. Said to be an ancient Egyptian man-god who fathered astrology, alchemy, and other magical arts, the mythical figure of Hermes has fascinated readers of occult literature for centuries. Magicians and gnostics in late antiquity identified Hermes Trismegistus as the author of many esoteric teachings, building the mystery of his lineage. 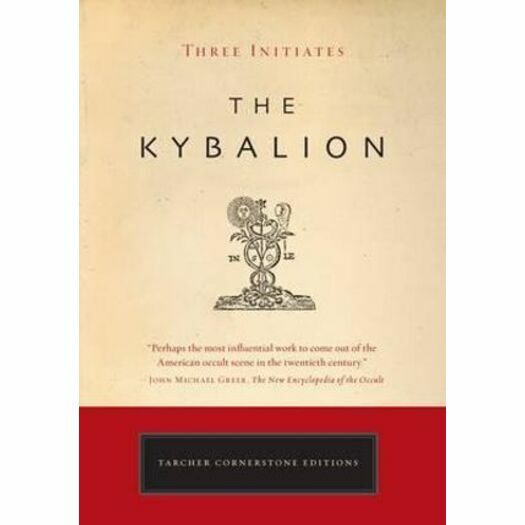 Since 1907, The Kybalion - written by the hand of 'Three Initiates' - has itself generated debate and controversy. Who is behind it? Do its ideas really arise from the secrets of a faraway era? And, most important, do they work for the contemporary seeker? In this concise, engaging guide, the Three Initiates assemble Hermetic doctrine into seven compelling principles, and provide practical methods for applying these ideas for self-development in everyday life. Fully redesigned and reset for ease of reading, this is the definitive text of an esoteric classic.